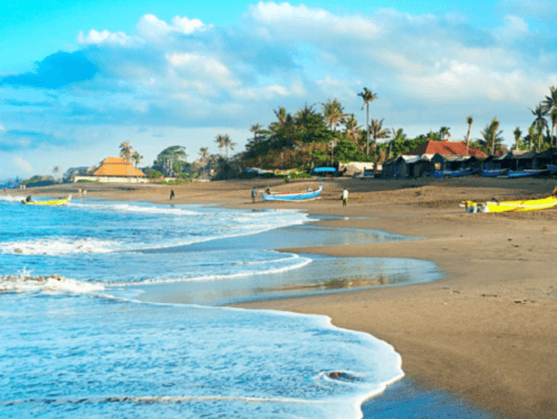 In Bali, we go to Canggu, by some of the most gorgeous beaches and seas in the world – for a slower pace of life, and maybe even a spot of surfing. It's a fantastic place to relax, reflect and deepen new friendships within our Nomad MBA tribe. From our first Nomad MBA out there, we can confirm: in addition to lush volcanoes, Bali has the kindest locals we've ever met – and a surprising digital nomad scene. Chiang Mai (Thailand) is a small historic city nestled in lush forests, stunning waterfalls and pristine temples... and now also a thriving digital nomad community too. From our inaugural program there, we can confirm: it has unbelievably good food too, that's so cheap it's obscene. From our inaugural program there, we can confirm: nothing. We haven't been there yet, but will be expecting a mix of Malay, Chinese and Indian culture... massive contrasts between the new and the ancient... and food that's far too spicy. In each place, you'll be provided with your own private room, in a clean and secure location that's near your fellow tribe members. We want to create a real sense of community, and know that's only achievable with an awesome group of people that can gather in shared spaces regularly – and so we'll also provide a mix of shared living-spaces where possible, and co-working areas. THE ART OF "SLOW TRAVEL"
We "slow travel" deliberately, so that we can genuinely 'live' each city – rather than rushing through like tourists. That means you'll have time to immerse yourself in the surrounding areas, to learn new skills and to build new habits in inspiring locations. It also fits well with our prioritising of learning remarkable skills – we have the time to get acclimatised and settled into our new cities, so we can focus on our learning without constantly being upended. New landscapes, adventures and people can give our minds new perspectives, fresh energy and be pretty inspiring... and when combined with our specific learnings can lead to some surprising insights. Trust us on this one ... it was this combination that woke us up to the potential of The Nomad MBA at the very beginning! Being in new cultures can break our normal routines, which is useful for ending bad habits – and maybe even replacing them with better new habits. Exploring new places together, exercising in nature and relaxing with friends are key parts of "high quality rest" for our minds; which is vital for efficient learning when we do sit down and focus on our online courses.